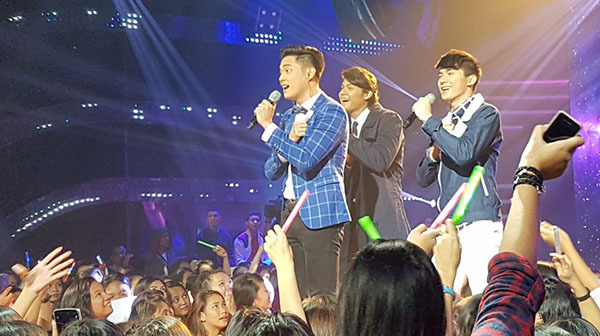 Allen, Tristan, Ford sings ‘Bakit Labis Kitang Mahal’ on Pinoy Boyband Superstar 2nd Live Shows on Saturday, November 11, 2016. “I’m bothered. Seriously and frankly I never saw improvements from all groups tonight,” said Vice Ganda. “Ford, you grow and perform well tonight. I enjoyed your performance,” said Aga Mulach. T”here’s no impressive voice from the three of you tonight but when you sing all together, I saw unity,” said Yeng Constantino. “Vocally you need to improve,” said Sandara Park.